Dubai: Being able to check in online and choose seats prior to departure is a great way to travel. It doesn’t just take away the hassle of standing in long queues at the airports, it also helps ensure that one gets the aisle, window or whatever seat they prefer. Now, imagine actually seeing your seat and the interiors of the plane. Emirates has taken things to another level. The airline has just introduced three-dimensional (3D) seat models on its portal, allowing passengers to check out in advance the plane they have booked -- before even boarding the aircraft. Emirates to introduce windowless planes? Using the virtual reality (VR) technology, flyers can simply go to the airline’s website on their desktop or mobile phone and visualize the interior of the Emirates A380 and the Emirates Boeing 777. It will be an immersive experience, as customers can virtually enter the plane and scrutinize the interiors. And since the new feature offers 3D-360 degree views of the cabins, the passenger will have a clearer idea if the selected seat is a good fit for their needs. Passengers can navigate through the economy, business and first class sections and also virtually check out the facilities on Emirates’ iconic double-decker aircraft, such as the onboard lounge and shower spa. 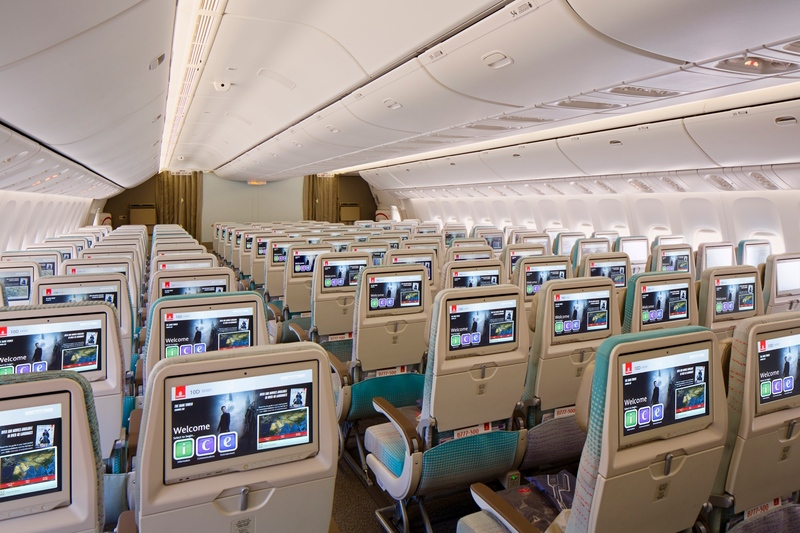 Emirates said it is the first airline to introduce 3D seat models on its digital platform. For a more realistic experience, users can opt to explore the different parts of the plane and choose their seats completely hands-free by using any VR headset. “As we continually invest to provide our customers with an unmatched travel experience onboard and on the ground, we also work very hard to give our customers a world-class digital experience,” said Alex Knigge, Emirates’ senior vice president, corporate communications, marketing and brand (digital).